During the Second World War, the arsenal in Limoges was requisitioned by the Germans to produce aircraft engines. The allies decided to neutralise the factory and a bombing raid was planned on the night of 8th February 1944. The factory in Limoges, founded in 1939 to manufacture French aircraft engines, was the target of allied bombings. 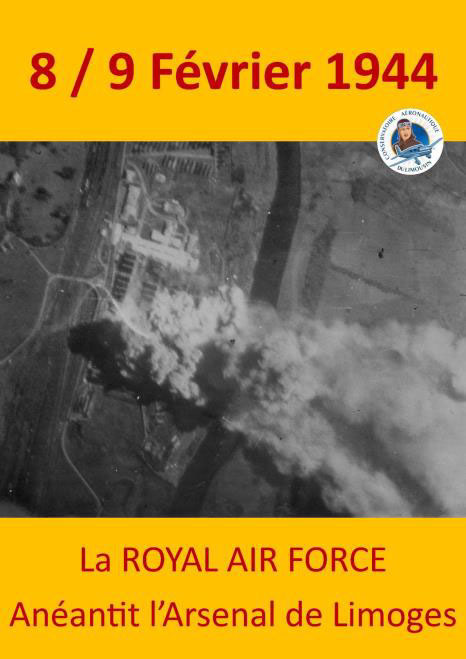 The Royal Air Force had the task of destroying the factory in February and sent a squadron led by Captain Cheshire. To spare as many human lives as possible, the pilots flew over the buildings several times to warn the occupants and make sure that all the workers were protected before dropping their bombs. It was during the Limoges bombing that the first 6-tonne bomb was tested. The squadron destroyed three-quarters of the factory and there were only five wounded.